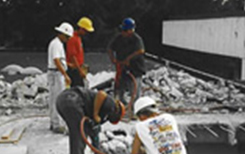 Since 1949, Sherman Construction has been providing unparalleled construction services. Robert Sherman founded our company, Sherman Masonry, as a masonry contractor building relationships, working diligently, and consistently delivering on promises. For years, Sherman Masonry provided excellent quality and workmanship on key projects throughout the Upstate community. 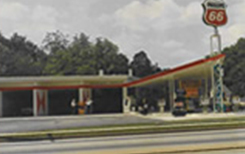 During the years of major interstate highway development in the US and the correlated growth of the oil industry highways, Sherman expanded its services into building gas stations along those newly built highways throughout the Southeast for clients like Gulf, Esso/Exxon and Texaco. 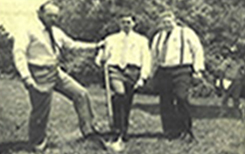 From that expansion, Sherman Construction Company was formally organized as a general contractor providing turn-key construction services in 1961. 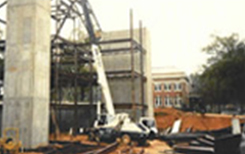 Sherman Construction has steadily grown over the last few decades and is currently a predominantly CM at-Risk contractor. 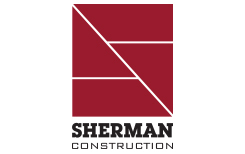 Sherman Construction delivers high quality preconstruction and construction services through an efficient management structure that continues to provide clients with direct access to company leadership. In the end, our goal is simple: Deliver first-class construction services to ensure our clients will rave about Sherman Construction and a job well done. 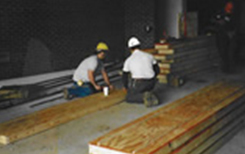 Sherman Construction will provide excellent construction services and high-quality workmanship on-time and within budget. Whether you are beginning a project from the ground up, or planning major renovations, our extensive experience and construction knowledge will be of extraordinary benefit for your project. Insurance Information: St. Paul Fire & Marine Insurance Co.
Accounting Firm: Bauknight Pietras & Stormer, P.A. 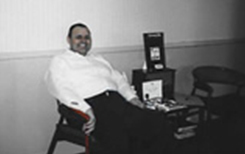 Legal Counsel: Elmore Goldsmith, P.A. Excellence in Quality, Value and Workmanship Since 1949. Robert “Bob” Sherman Begins Working as a Masonry Contractor in the Upstate of SC. Bob Sherman develops construction plans for highway gas stations throughout the southeast and finds clients such as Gulf, Esso, Exxon, & Texaco. Sherman Construction Co. Inc. is formally incorporated and a full unlimited general contractor license is obtained from South Carolina. Construction of gas stations begins in South Carolina, North Carolina, Georgian, and Tennessee. 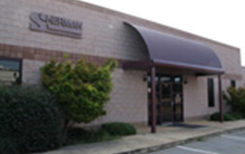 Sherman Construction begins diversifying into construction projects and develops several school projects. Sherman construction builds a Wal-Mart store in Hartwell, Georgia. 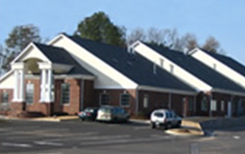 Sherman Construction contracts with national healthcare for a 44 bed nursing home addition in Laurens, SC. New corporate headquarters completed to allow for additional growth. 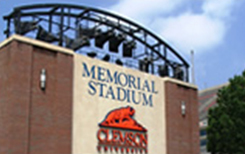 Sherman Construction contracts with Clemson University for renovations to the east end zone fo Memorial Stadium. 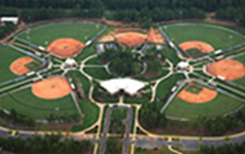 Sherman Construction begins construction of Heritage Park for the city of Simpsonville. Sherman Construction completes a design-build project for Cleveland Park East Animal Hospital. Sherman Construction breaks through $20 million in annual revenues.